Learn about our company, what drives us to deliver good business and how our family owned and operated business can impact your operations. 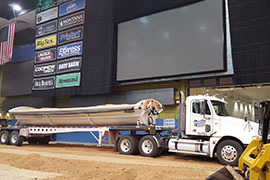 Our trucks can empower your operations! 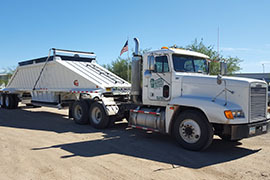 We also have the largest fleet of side dumps in Southen Arizona. Our rates are set by tons, or by the hour. We have taken some time to compile a series of actions shots during some of our most exciting projects. If you want it done right, we can help! IF YOU REQUEST A QUOTE, WE WILL GET BACK TO YOU ASAP! We have the largest fleet of Side-Dumps. Their payload is around 24 tons each. We have a sizeable fleet of Belly-Dumps. Their payload is around 25 tons each. Hauling something quite bulky? 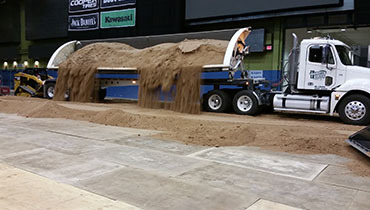 We have Flat-Bed trucks ready to help! DO YOU HAVE A QUESTION? GIVE US A CALL! We are always ready to answer our phones. 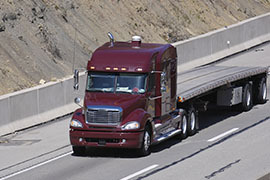 I started Saguaro Trucking in 1989, with 9 trucks. Today, we have plenty of trucks to handle any operation. I wasd born and raised in Tucson, and I bring a lot of knowledge and experience in the industry to our clients. My responsibility is to make sure that our drivers and mechanics receive the appropriate training. I love my job, because I know that what I do really makes a difference. I can work in the field, or in the shop. Safety is our priority. All of our CDL drivers go through an extensive 3 day training, and all our drivers are trained and certified in MSHA (Mine Safety Hazard Administration). We have 8 full-time mechanics working around the clock to make sure that our trucks are safe and dependable. We have enough trucks and trailers to handle any job, large or small. 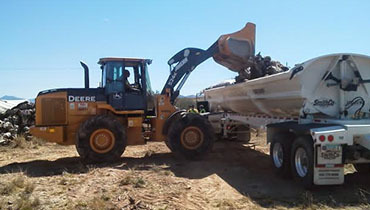 We are the company with the largest fleet of Side-Dumps in Southern Arizona. 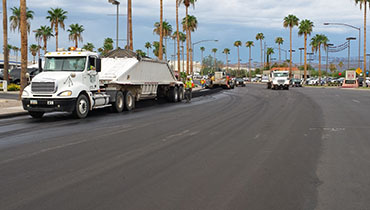 With over 26 years in the trucking industry, we have the experience to get the job done right, and on time. Training, Experience, Reliability and Safety are the components of our daily operations. We can improve the efficiency of your project! Visit us, email us, or give us a call. We are ready to serve you!